Arranging a funeral involves many legal, religious, cultural and practical requirements. 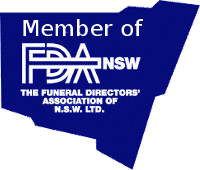 W Larcombe & Son has a wealth of knowledge when it comes to dealing with such matters including the Public Health Act & Regulations for burial or cremation, Occupational Health and Safety requirements regarding handling the deceased body, Council requirements, Death Registration procedures and many more. Whilst there are legal reasons to hold a funeral, a funeral service is held so that relatives, friends, and work colleagues have a chance to say goodbye to the deceased. It is part of the grieving process that we as individuals should experience; it must satisfy the physical need to lay the deceased to rest. It must also satisfy our emotional, spiritual and social need to grieve and express our feelings about the deceased. W Larcombe & Son Funerals have helped hundreds of individuals and families during their grieving process and guided them through the many challenges associated with organising a funeral for their loved one. Whether the death certificate has been issued.